If I were going to make a 10-best list, it would probably include films like Boyhood, The Imitation Game and Selma, among others that will be on everyone's list. But, as good as those films are, none of them are on my list of favorites. The film, which won the main prize at this year's Deauville Film Festival, is a character study of Bill (Wes Bentley), an insurance adjuster whose straight-arrow approach to life is shaken by what being jobless forces him to do. Here's the good news: Edge of Tomorrow is not Oblivion redux. But here's the conundrum: As a result, the pendulum may have swung too far in the opposite direction. 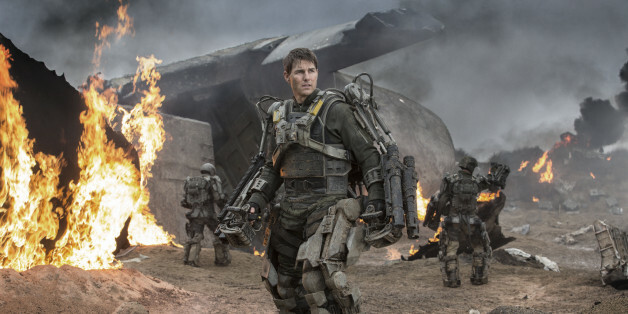 Is 'Edge Of Tomorrow' Worth Your Money? Benedict Cumberbatch To Replace Tom Hardy In Mt. Everest Movie? Geoffrey Fletcher smiles when Violet & Daisy is described to him as feeling like a strange mash-up of Tarantino and Wes Anderson. Now more than ever, Americans must come together and send a message once and for all that torture is immoral, illegal and ineffective. Tony Gilroy is the smartest, most intriguing screenwriter since William Goldman was in his heyday. He comes through again with The Bourne Legacy. In some ways, War is the bromance version of Mr. and Mrs. Smith, which could have been by McG but, instead, was by Doug Liman, who is like McG with a functioning brain. Judith Miller demonstrated in her recent Wall Street Journal story about my film, Fair Game, the same cavalier attitude towards the facts that led to her departure from the New York Times in disgrace. The night we screen Fair Game, the questions are tough and pointed: why we cast an Egyptian actor and not an Iraqi one; the film might bring people to justice in America, but what about the damage we caused in Iraq?